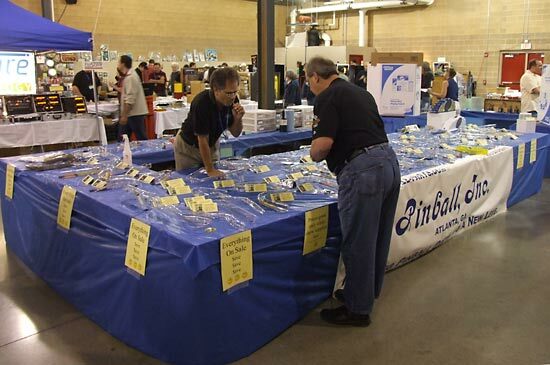 Gene Cunningham's Illinois Pinball Company, which bought most of the remaining parts stock when Alvin G, Capcom and Williams closed their pinball businesses, has decided to sell most of it in order to concentrate on the production of new pinball parts. Gene had stockpiled a huge number of boxes of parts when Williams sold him their remaining stock after ceasing pinball production at the end of 1999. Although Illinois Pinball has a web-based store, it only featured a small proportion of their products and fulfillment of orders was often far from certain. 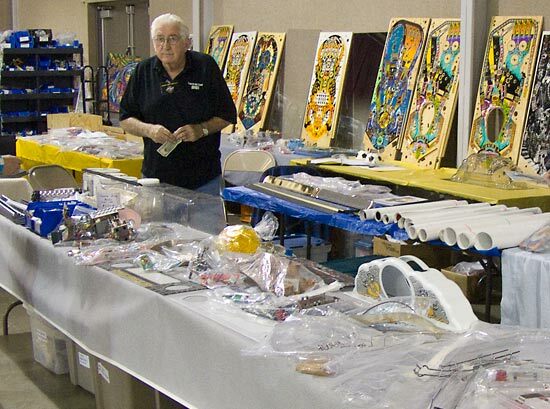 To improve sales, Gene has been driving for many hours to various pinball shows around the US to sell his purchased stock alongside his various new reproduction parts. Now, the majority of those new and new-old-stock parts has been sold to Pinball Inc.'s James Loflin who, for seven years, has been a manufacturer and supplier of 15,000 replacement pinball ramps under licence to Illinois Pinball from his Atlanta, Georgia base. However, some of those parts may not stay in the US as a large number of them has been immediately re-sold and are en-route to Child Amusements (trading as Pinball Spare Parts) in Victoria, Australia. Along with the parts sold by Gene come a number of original molds, dies and technical drawings which will enable James to manufacture new injection-molded, rubber molded and metal die parts to add to his current Pinball Inc. range. Gene, meanwhile, will continue with his reproduction parts business, making cabinet art, playfields, plastic sets, backglasses and translites. Parts relating to these areas of the business have not been sold and will continue to be offered by Illinois Pinball.